We provide auto insurance quotes tailored to your specific needs. If you find it confusing to get auto insurance quotes and be able to compare them on more aspects than just the premium, you’ll be happy to learn that with the exceptional level of customer service we provide here at Curtis Helms Insurance, you’ll be able to do it far more easily. We understand that no two drivers are alike and that there are many different factors to consider, so we take the time to learn about you, including your vehicles, driving record, driving habits, and more. 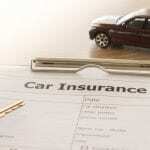 The result is that you’ll get auto insurance quotes for the right coverages for your situation. We are family oriented and focused on providing the best experience, so you can be confident of not only an enjoyable experience but results that make sense for you. It doesn’t matter if you are someone with a spotless record, need high-risk auto insurance, or added coverage as an Uber/Lyft driver. We’ll make sure you have the right policy for your needs. We are proud to serve the Charlotte, North Carolina community with all types of insurance. You can turn to us for auto insurance quotes, as well as home insurance, life insurance, motorcycle insurance, and commercial insurance. Be sure to ask us about how to save by bundling coverages to qualify for discounted rates. We can often provide same day auto insurance – normally within a few minutes, along with many other benefits you’ll experience when working with local and real people for your insurance needs. If you have any questions about insurance or you are ready to get started with getting auto insurance quotes, don’t hesitate to contact us.